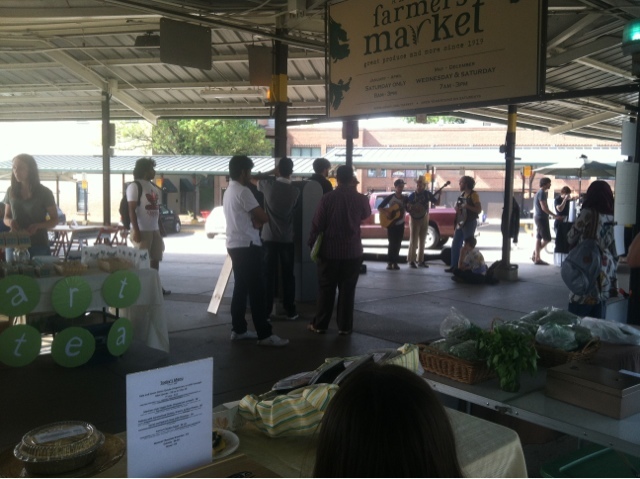 The Wednesday night farmers market is back. It has a lot of vendors you won't see at the other markets, like tea and donuts. I dunno, I can't eat them. The music was good? The tea was pretty?